For the first time in its history, the Exuma Marathon was able to announce the two sweetest words for any event in The Bahamas: sold out. 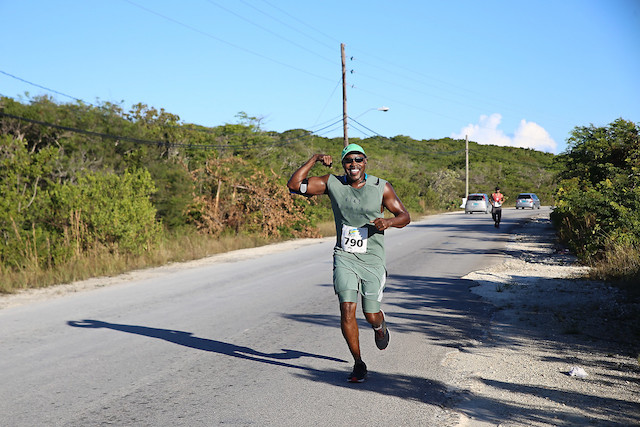 Nearly 250 runners from as far away as Holland and Ireland packed the starting line last Saturday in Exuma, all united in a race that has become a highly anticipated staple in the Bahamian tourism calendar. Not a single shirt or race number was left over, inspiring last-minute runners to simply jump into the crowd, just to participate. “It has a distance for every level of fitness that will challenge even the most seasoned athletes. But it is exactly the community integration, cultural relevance and authenticity of Exuma Marathon that makes this event special in the eyes of tourists. Before the race on Nov 10th, tourists like Flannery took in all the attractions of Exuma, including the now world-famous swimming pigs. Hotels, tour boat operators, taxi drivers and restaurants all benefited from the sold-out event. 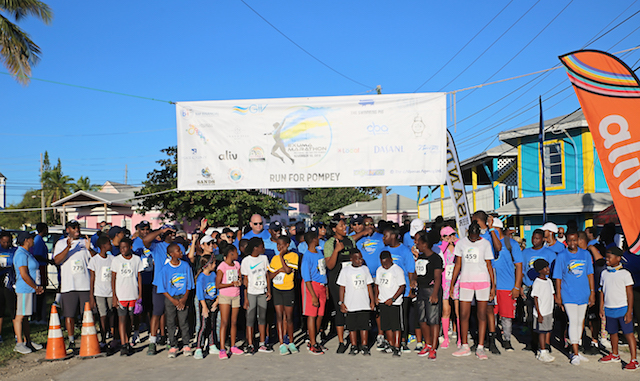 Exuma Marathon features races for all ages, with the most impressive being the Run for Pompey, a grueling 50K race. This year, in striking solidarity, Michelle Gibson and Shavaughn Blades, from Nassau, crossed the finish line together with a time of 6:39:47. Elaine McAunulty, from Ireland, won the full marathon with a time of 5:55:14. 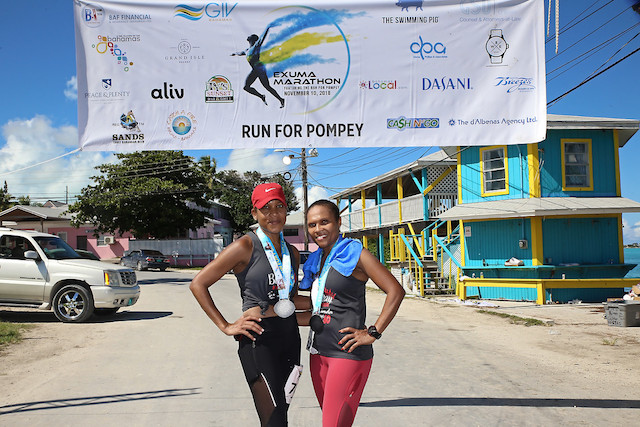 Other races included a full marathon, half marathon, 10K, 5K, and 2K “George Town Dash”, making the event accessible for young children and older participants. 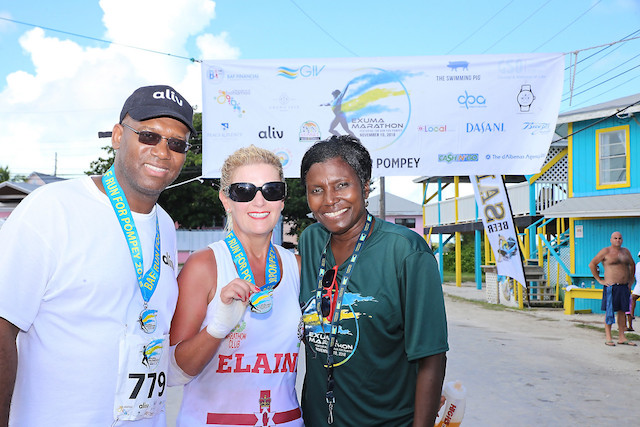 At its core, Exuma Marathon focuses on community engagement and offering an integral, cultural experience for all. 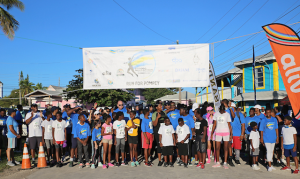 “There is no doubt that this was our best year yet,” said Kevin Taylor, who founded the race with Jeff Todd, the Director of Communications for GIV Bahamas Inc.